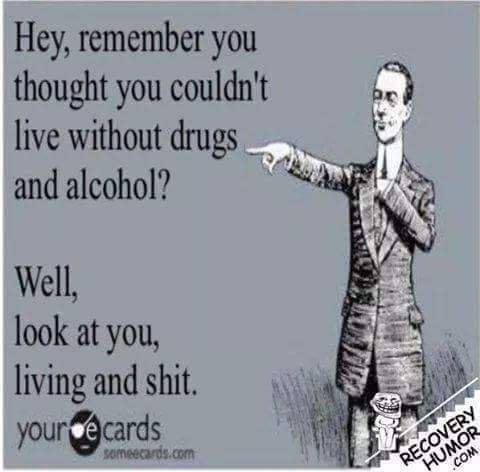 I remember when I thought I would never be able to stop using drugs. I was convinced that the program worked, it just didn’t work for me. I was told to just keep coming back. So I did, and sure enough I began to see that the program also worked for me. Before I knew it I had a year clean. So for anyone who thinks that they cannot get and stay clean. Just keep coming back. If I can do it so can you. I believe in you. Recovery is possible. This entry was posted in 2015 and tagged addiction, change, compassion, destination, failure, faith, fellowship, gratitude, happiness, hope, love, progress, recovery, service, strength, struggle, suggestions, triumphs. Bookmark the permalink. Good Morning Eric! I had to “keep coming back” and “keep coming back”. It finally clicked. Good morning Vicky. Amen me too. I am forever grateful that it finally clicked. Congratulations on sobriety, I know that is one tough road to hoe. Keep it up! Thanks Gary. Its tough but I have learned that it is possible. Eric. Your life is a great example to those of us who are struggling in any area of life. Your area of struggle was addiction, but there are other struggles that many people have. Persistence, accountability to others, involvement with others who are suffering, and determination to change, which you have shown are good encouragements. Also, an encouragement is when you have admitted when you slipped in the past and then restarted. That is one of the most important parts of your story, don’t give up after one fall. God Bless you abundantly my friend.